It's a sunny morning here and just a perfect day for this kind of post! It also helps that there is a fresh, new layer of snow on our ground, rending me more and more of the season to come! Well, friends, turns out I love color for the holidays and I have a feeling many more cards like these are to come. To create the first card, I started with a polka dot base patterned paper, and if you look really closely, you will see that some of the dots have teensy snowflakes on them..major win! 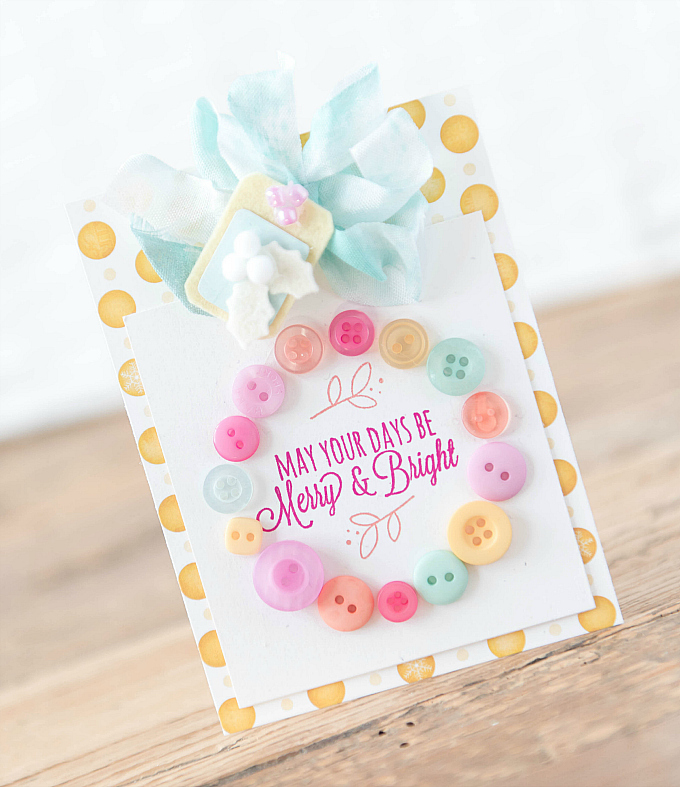 For the center of the card, I used a mix of colorful buttons to create a wreath, and stamped a sentiment in the center, using PTI's Rustic Wreath stamps as well as ink colors in Melon Berry and Raspberry Fizz. At the top of the card, I added a ribbon, as well as a little felt tag, using PTI's Lemon Tart Felt. Next up, using the same paper, I wanted to create something a little more sparkly. 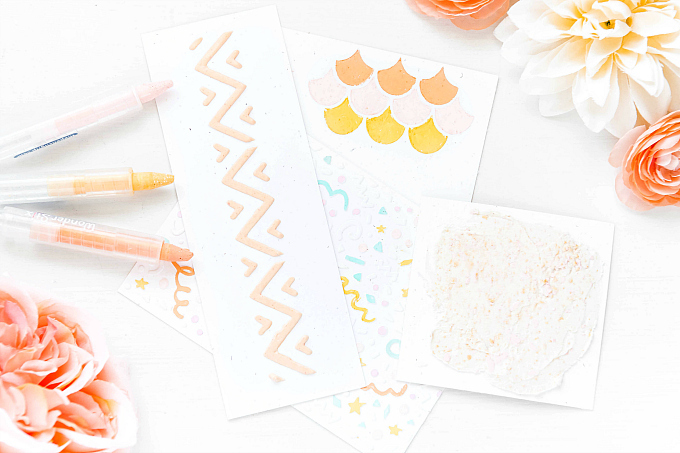 After layering some contrasting paper along with the polka dotted pattern, I cut a large star using PTI's Seeing Stars dies, and stamped a few twinkly lights using the Sparkle and Shine: Holiday Additions Mini stamp. I then added a felt star, cut out of Harvest Gold felt, layered with sparkly candy canes and miniature jingle bells. I outlined the star with a Copic marker, and added some tinsel trim and a sentiment from the same PTI stamp, to finish off the card. I'm so looking forward to more holiday projects, and I'll be sharing them with you all soon! Anyone will be thrilled to receive these. gorgeous cards! I love them both! Big thank you!! :) Sending hugs! These are simply beautiful. 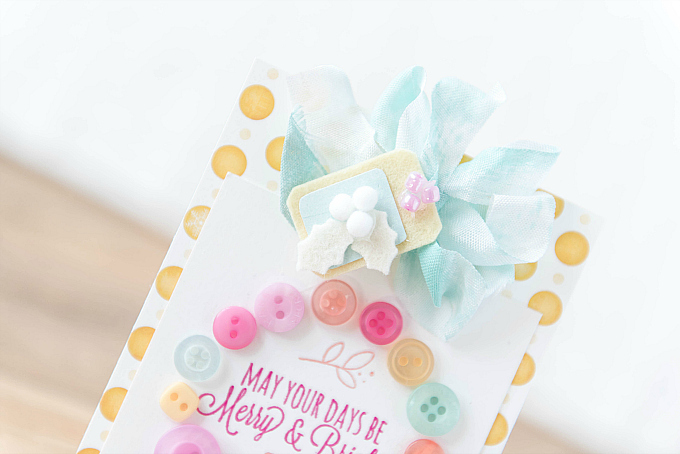 I love the lovely layering with the felt and that adorable little candy cane!! Thanks so much, Nora! Those candy canes are my absolute faves! I picked them up at a Hobby Lobby as miniature decorations, but they work just as well for cardmaking :) Sending hugs and wishing you a wonderful winter, Nora! I like your pretty little button wreath! 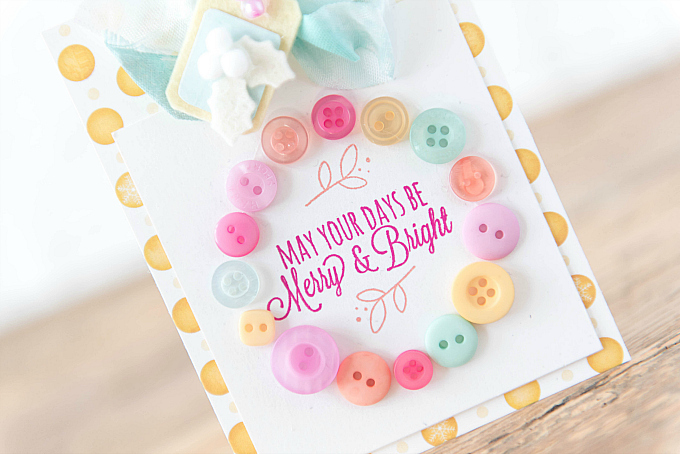 Your second card is delightful with those little jingle bells and candy canes!